This is your gateway to a very mentally stimulating job field in which you will commonly be called upon for installation, inspection, testing, adjusting, or repairing all manner of Aviation Electronics. You will learn how to use Basic test/repair equipment such as Multimeters, Oscilloscopes, and Soldering Irons. You will also experience plenty of hands-on time with current Flight Line Test Equipment such as the IFR 4000 (Communication Systems Test set), IFR 6000 (Navigation Systems Test set) and Several Different ADTS (Air Data Test Set) Systems. Upon completion of this program, you will have a better understanding of electronics and the role they play in today’s aviation industry. 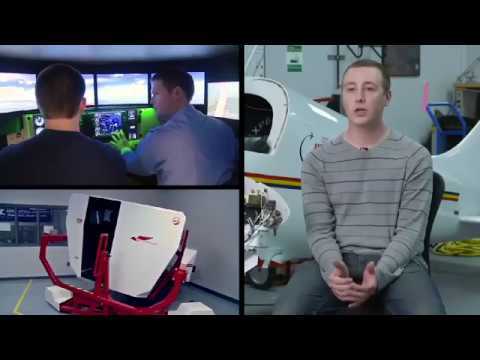 You will have also learned and honed your troubleshooting skills to be able to understand and analyze complex avionics systems on the aircraft. 80-83 USCG Avionics Technician, HH-3F SAR Aircrewman; BS, Mission Aviation Technology (Avionics), Moody Bible Institute; MAS, Aeronautical Science, Embry-Riddle Aeronautical University; 98-01 Assistant Professor Aviation Technologies, Southern Illinois University; 01-14 Associate Professor Aviation Systems Technology, LeTourneau University; Airframe and Powerplant Mechanics Certification, FCC GROL with Radar Endorsement. 98-08 USMC Avionics Technician, Intermediate Maintenance Activity (IMA); AAS, Aviation Electronics (Avionics) Technology, Guilford Technical Community College; FCC GROL with Radar Endorsement. Can I get a tour of the program facilities? What jobs are out there for students graduating from this program? 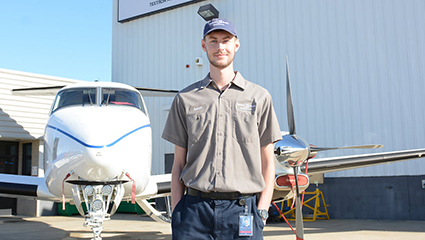 We have students placing locally at MRO, local FBO’s, OEM support shops, and in local manufacturing environments. We have also had graduates being recruited by non-aviation based production support companies needing the same electrical and troubleshooting skills as the aviation market. Use Indeed or JSFirm to search local and regional jobs for “Avionics” in Greensboro or for North Carolina overall. What is the typical yearly salary for one of your program's graduates? This is highly variable based on whether you are willing to move outside of the local area. The average introductory salary for this job field is 30k – 45k per year. This is a typical training salary which would increase quickly if you prove your skills and production ability. Do you partner with any of the local industry for job placement? We have strong relationships with Honda Aircraft, Textron Aviation, Signature Techniair, HAECO MRO, and Piedmont Aviation to name a few. At this time, we do not, however, have any direct placement agreements with any of these partners. We do, however, get their buy-in on our curriculum to ensure our graduates are up to the current industry standards for entry-level employment. What feedback have you received from industry about your placements from this program? Feedback from local industry has been very positive. It is always a pleasure to hear back from students who are being promoted through the local industry, and they are satisfied with the opportunity this program offered them.